We offer to our clients an excellent range of Warehouse Trolley which have been made using a high quality of raw materials and they are well known in the market due to their robust construction and the sturdy build which they offer to the clients. These Warehouse Trolley can carry a high capacity of load and they are made with a very careful manufacturing process to ensure that the products are flawless and they provide an excellent service to the clients. We are dealing into Local Areas. 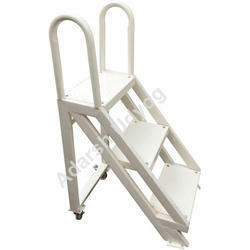 Heavy duty ladder with weight capacity of 150 kg per step. Having 100 x 50mm PU wheels. 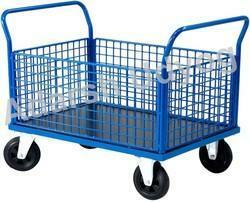 Looking for Warehouse Trolley ?